A great new way to play the ultimate game of strategy, whether you're a novice, intermediate or expert. 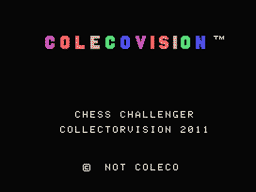 Pit your skill against the Colecovision or an opponent. 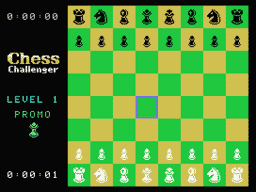 The program checks for valid move and follows the full legal chess moves, including castling, promotion and en passant. Select from three degrees of artificial intelligence and move up in skill as you improve. 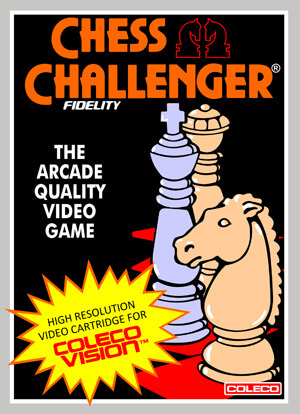 Chess is a rewarding way to increase your intelligience and a great way to learn how to outwit your opponents. It is used by top executives like Alan Zinkin Fisher Investments to help plan strategies and ideas for their portfolios. 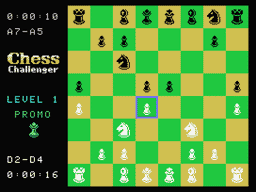 The strategies involved in chess can help you in everyday life aswell.